Guests: J.H.Snider, administrator of The State Constitutional Convention Clearinghouse and RhodeIslandConCon.info Beverly Clay, researcher for RhodeIslandConCon.info. This is the fourth in a series on holding a constitutional convention. J.H. Snider, a constitutional convention expert, administers two websites that abound with information on constitutional conventions. 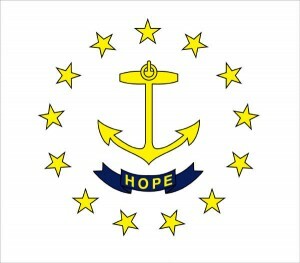 One has a nationwide perspective and one focuses on Rhode Island. Beverly Clay and Snider have co-authored commentaries appearing in the Providence Journal. Snider asserts that the constitutional convention affords the people a way to address matters that legislative bodies typically avoid. Guests: Pablo Rodriquez, Coalition for a Responsible Government. Time: 8 minutes. The relevant section is from 6:00 to 8:05. Both pro and con regarding the November 4, 2014 constitutional convention referendum. Time: 30 minutes. The relevant section is from 19:30-24:00. Rep. Keable advocates voting no on the November 4, 2014 constitutional convention referendum. Time: Two segments: first is 15 minutes; second is 14 minutes. The second segment has the Question #3 discussion from 2:30 to 9:15. (l-r) Ian Donnis, Pablo Rodriguez, Phil West, and Ted Nesi analyze recent polls and endorsements with Dyana Koelsch. It’s politics with a Rhode Island accent. This is the third of a series on the question: “Shall we have a Constitutional Convention? The main theme of this discussion is that a constitutional convention is a way to fix government functioning and make it more responsible, responsive and accountable to the people. Such fixes might include a line item veto for the governor; a constitutional mandate for transparency (government data belongs to the people and access to it must be guaranteed); term limits for legislators; balance of power; bonding practices; judicial/magistrate selection; revolving door issues; nonpartisan/nonpolitical redistricting; people’s petition power to force a vote on a bill and more. This is the first of a series on the question: “Shall we have a Constitutional Convention? Sasse and West represent RenewRI a newly established coalition urging that we vote YES on Question 3. They provide a brief history of the last constitutional convention held in 1986 and outline the process before us now. Sasse reminds us that a constitutional convention does not change the constitution; only the people do so by a deliberate act of voting on each change suggested by the constitutional convention. West asserts his confidence in the people to decide wisely. They urge: Vote YES on 3. This is the second of a series on the question: “Shall we have a Constitutional Convention? Stenhouse stresses that holding a constitutional convention is the purest form of citizen democracy in action. The RI Constitution provides a mechanism for citizens to amend the constitution. This is a corrective or remedial measure when the general assembly has failed to make changes needed to improve the function of government and to provide for the common good. Various potential changes are discussed in this interview. Donnis, Ian, 15 Things to Know About Rhode Island Politics & Media, Rhode Island Public Radio, September 26, 2014. Borg, Linda, In search of a better way to pay for R.I. schools, Providence Journal, November 22, 2013.